Did I mention free books? I’m giving away two wonderful new novels in April. That gives you five more days to grab one. Read a review of Blue Stars here. 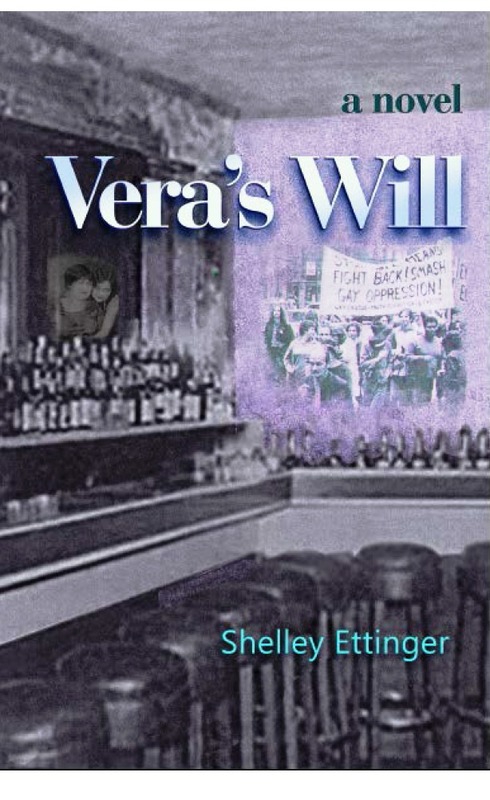 Read a review of Vera’s Will here. Books. Free. Grab them while they’re hot. How do you get your hands on one of these fabulous novels? It’s easy. 1. Sign up for my free monthly newsletter, Being Bookish. 2. When you receive the newsletter, simply hit REPLY and tell me which book you want. I’ll throw your name in the hat and select a winner. Every month. For free. If you like the sound of that, see Step 1 above. Like everyone of my generation, I’ve lived through several periods when the U.S. was at war. Then came a time, continuing to this day, when the U.S. was perpetually at war. Politicians launch these conflicts, and soldiers fight them. But when soldiers are injured, it is their families – mostly mothers and wives – who live ever after with the legacy of those wars. 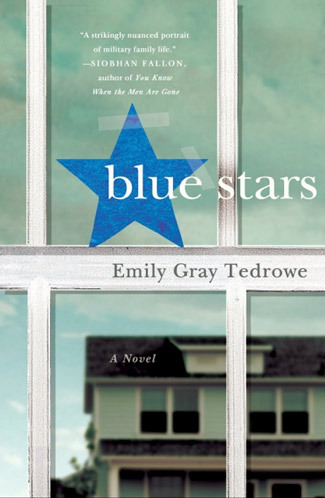 Blue Stars by Emily Gray Tedrowe is the story of two such women, and it takes you deep into the world of tedium and terror that was Walter Reed Military Hospital in Washington, DC during 2005. Ellen Silverman is a literature professor, an opponent of the wars in Iraq and Afghanistan who holds George W. Bush and his entire Cabinet in contempt. She is the mother of a college-age son and daughter and the guardian – for all intents and purposes, the mom – of Mike, a young man who went to high school with her son. She is aghast when Mike tells her he enlisted in the Marines, but that’s nothing compared to her horror when he returns from Iraq grievously wounded – one of many thousands of young amputees. Lacey Diaz couldn’t be more different from Ellen. She is the mother of a young son and married to an officer in the Reserves, a man who is easier to love when he’s on deployment far away. Lacey lives in “Mil-world,” surrounded by other military families. She’s a leader in this community and is convinced, as they are, that any question of the war effort is tantamount to treason. An accident in Iraq leaves her serious, upright husband blind and childlike from a traumatic brain injury whose impact may or may not be permanent. Take these two women out of their daily lives, throw them together in the high-stress fishbowl of a medical military village where everything is at stake but nothing makes sense, and you have one hell of a novel. Family members don’t just visit patients at Walter Reed; they live there, week after week, month after month, helping their soldiers navigate the convoluted systems, advocating for them amidst the dense military regulations and jargon, trying to help the patients and each other adjust to a life of being broken. Ellen, usually so competent and in control, is lost in this world. Lacey conquers it. These two women – whose respective age and class would normally ensure that they never meet – become close friends and lifelines for one another. Blue Stars is my favorite kind of novel: a gripping human drama that deals head-on with vital questions of gender, race and class, war and peace, resistance and allegiance. Tedrowe has created complicated, lively characters and placed them in a real-world location with real-world problems. 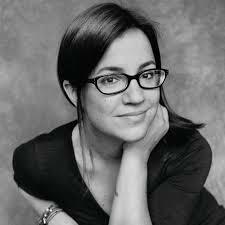 I still miss brash, brave Lacey Diaz, who engages in one of the most satisfying blow-ups in literature. Blue Stars is Tedrowe’s second novel. Her first book, Commuters, came out in 2010. You can bet I’ll be standing in line for her third. I’m giving away a free copy of Blue Stars through my newsletter in April. For a chance to win it, sign up for my newsletter.